I remember the first time a college professor made fun of my faith. I was taking a history class at a small community college, but the professor spent more time talking about his atheistic beliefs than World Civilizations. He would work jabs against Christianity into every lecture. I’d sit there and squirm. I wanted to say something, anything, to make him see the error in his ways. Finally, half-way through the semester I got up the nerve to say something to the professor. I raised my hand and made a comment about evidence of God’s hand in history. The professor listened for ten seconds, laughed, and then he continued on with his comments. I was embarrassed, and I never spoke up again. Looking back, that incident impacted me. 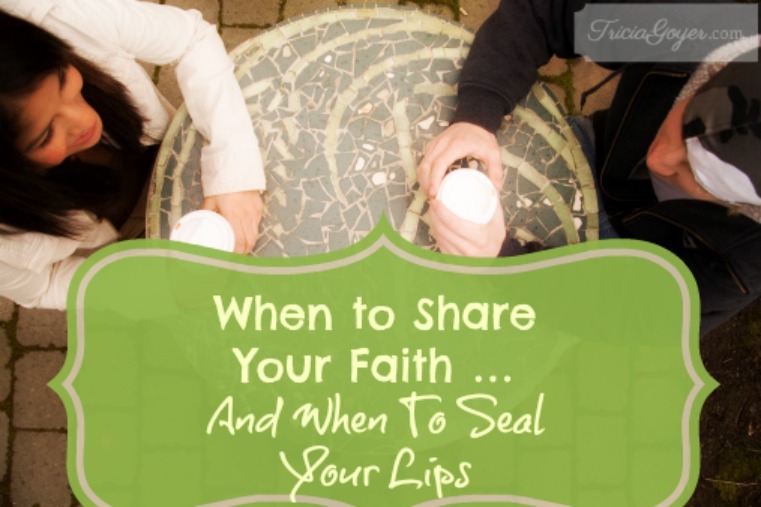 It made me fearful of sharing my faith. I didn’t want to be embarrassed, and I got used to keeping my thoughts to myself. It was only years later that I realized that Jesus understood and dealt with the same thing. In Luke, Chapter 20, we see incident after incident of those who were trying to trap Jesus, to discredit him, and to make Jesus look bad in the eyes of the people. Jesus didn’t spout off volumes of truth, proving them wrong. Verse 8 says, “And Jesus responded, ‘Then I won’t tell you by what authority I do these things,’” (NLT). Jesus knew what I learned—there are some people whose minds will not be changed no matter what we say. They have hard hearts. They listen only to come up with a rebuttal. As Proverbs 26:4 says, “Don’t answer the foolish arguments of fools, or you will become as foolish as they are” (NLT). Jesus talks about this again in Matthew 7:6: “Don’t waste what is holy on people who are unholy. Don’t throw your pearls to pigs! They will trample the pearls, then turn and attack you” (NLT). If you come up against someone like my professor you may want to share your faith, but if that doesn’t work out, don’t let it stop you from reaching out to others who have softer hearts. As a mom of 10 children, one of my greatest desires has been to raise kids who can share their faith. John and I have taken our kids on mission trips. We’ve encouraged them to be shining beacons wherever they are. We’ve taught them how to share their faith by knowing what to look for. Get them to trust you as a Christian. Get them curious about Jesus. Get them to ask questions. Get them to consider making changes in their own lives. Jesus knew that there were some people who wanted to hurt him, to kill him. Yet He was always on the lookout for those with seeking hearts. In your own life, know that there will be times when sharing your faith will not be easy or fruitful. There will be times when your words will bounce off hard hearts. Instead of being discouraged, like Jesus, look for those who trust you, are curious and ask questions. Those are the people worth spending time with. The time you spend with soft-hearted people will hopefully reap eternal rewards! Tricia your experience with the professor , who was an atheist reminds me of the movie, God’s Not Dead. You make some good points in this post. You know God’s word. Tricia you reached out to this professor but he scoffed at you. You offered him the truth but he rejected it. You obeyed God when He urged you to speak to the professor. You did what you could. The professor wouldn’t listen to you. If you had not spoken up to the professor as you did you may have always wondered if you should have and if it would have made a difference in his life if you had. Remember what the LORD said to Jeremiah in the old testament when He wanted him to warn the Isrealites of the folly of their ways and where their sins were leading them. He told Jeremiah if you do not tell them my message and they die in their sin it will be your fault. But if you tell them and they reject My message it will be their sin.